HomeProjectsProject Management ToolsWhere to Find Jobs and Business Opportunities (Bizopps) Directly with USAID? 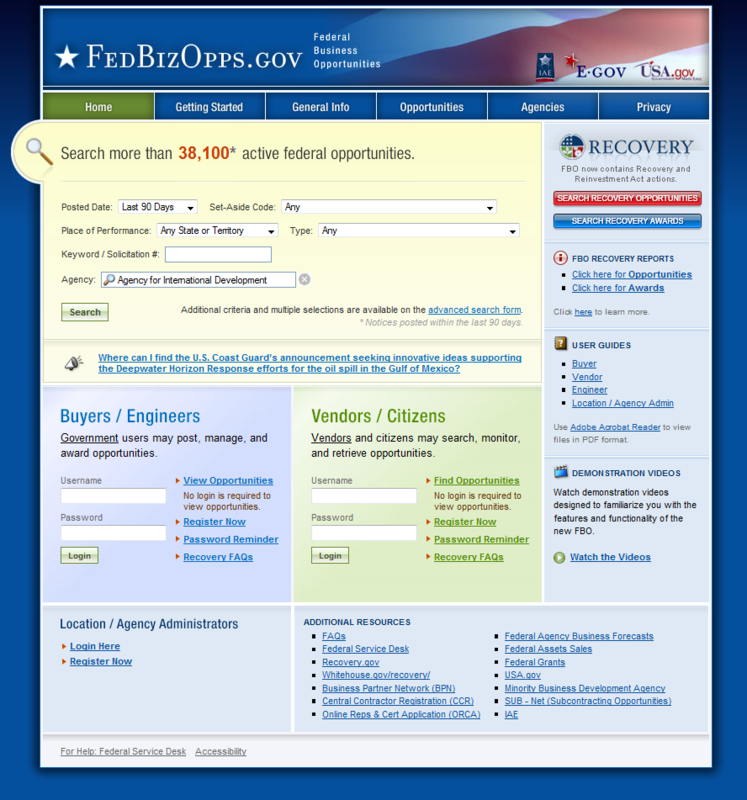 As with any federal agency, USAID uses the fedbizopps.gov website to solicit organizations and individuals for technical and project implementation expertise. What makes the site a bit tricky is that it does not recognize the "USAID" abbreviation - you need to spell out "agency for international development" (as we have done in the example below), to see the business opportunities world wide with USAID, as a contractor, a PSC, etc. You do not need to register to see "bizopps" with USAID. USAID does not always post jobs on Devex and other job search sites. If you are on the market and looking for a job directly with USAID, this is certainly a website to follow. The site is also useful if you want to follow developments with USAID in a particular country.